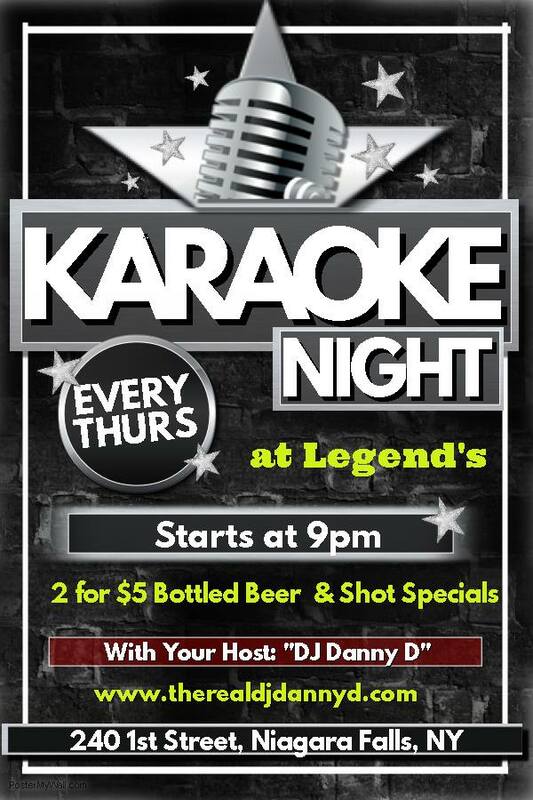 "DJ Danny D" Karaoke Every Thursday@Legend's In The Quality Inn At The Falls 9pm-Midnight — "DJ Danny D"
Karaoke and Service Industry Night Every Thursday 9pm-Midnight! Come join our awesome and legendary Karaoke family! A comfortable, relaxed, party environment singing all different genres of music! Get in early to get into rotation!